Kusadasi is a busy cruise ship destination and ferries from all over the Mediterranean and further afield arrive and leave daily. This makes things easier to find transport to other places around the Mediterranean. One of the quickest trips you can take, and one that takes you out of Turkey and into the European Union, is to nearby Samos Island in Greece. Samos is the 8th largest Greek Island and one of the finest. This island a must-see destination in this part of the world, and it is a comfortable short ferry ride across a beautiful sea. Most tour operators will pick you up from your hotel or the Marina. The Kusadasi to Samos day trip schedule starts early in the morning. 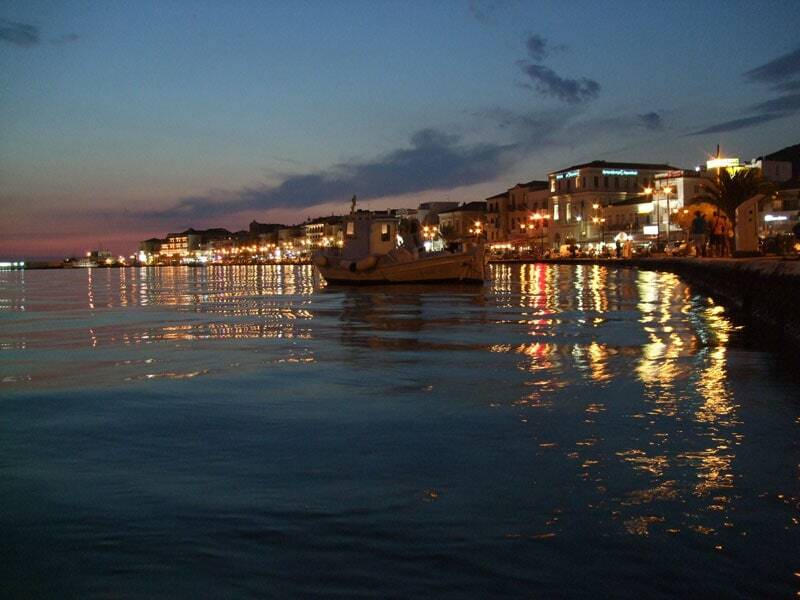 The 60-90 minute voyage on a charming Island Ferry sets you up for an enjoyable excursion to Samos. The complete tour and round-trip Ferry ride will take about 7-8 hours of leisure and sight-seeing. Samos is a very popular Greek island found in the eastern Aegean Sea, north of Patmos and off the beautiful coast of the Turkish riviera. It was once a powerful and wealthy city-state. Designated as a UNESCO World Heritage Site, it is home to the Pythagoreion and the aqueducts of Eupalinian, known for their unique ancient engineering feats. Samos is the birthplace of the mathematician, Pythagoras and the well-known philosopher, Epicurus. Samos has always been renowned for its excellent sweet wines, called Samian Muscat Wine. Samian wine is still being produced there today. You can visit and taste the wines at the ouzo factory as well as see the ceramic vendors or tour the Monastery of Agia Triada. Another must see site are the Roman baths of Pythagorion. Lunch will be provided during your visit as you set the pace for the tour. You have your choice of a wide variety of eateries in the small towns of Samos. If you're staying longer on Samos check out the Visit Samos website for more detailed information on things to do and see. 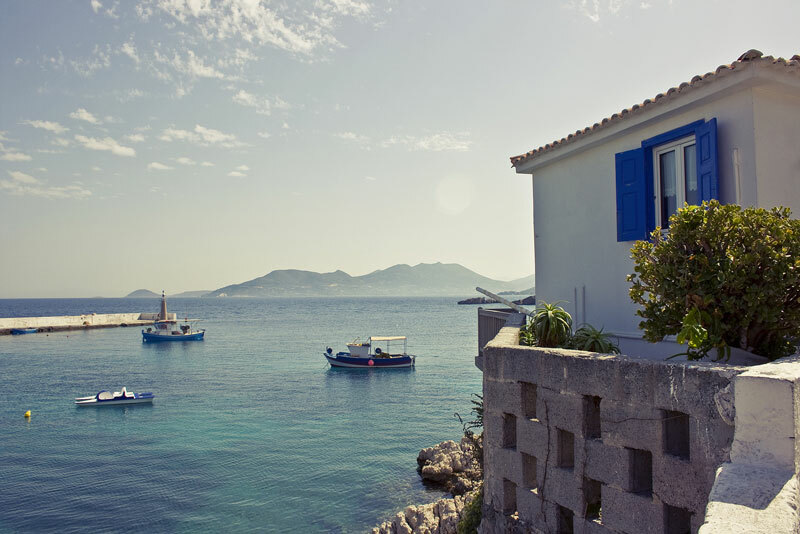 After lunch, you can visit the crystal white beaches of Samos, while you tour the quaint harbors and fishing villages that have set this island apart for so many years. The majestic mountain ridges are an elegant contrast to the quiet beaches. Many legends and myths can be found in the mountain terrain surrounding the island. If you wish, you can rent a yacht, with or without a crew, to explore the hidden treasures of coves around Samos. Nothing can compare to the freedom or beauty of the open sea around this breathtaking island view. You can also book packages that include water skiing or wind surfing. 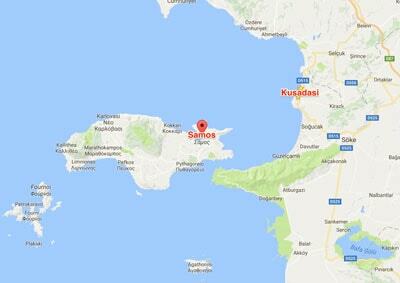 There are several ferry companies offering Kusadasi to Samos and Samos to Kusadasi trips every day in the main season (start of April to End of October). You can buy single or return fares. Meander Travel offer Wednesday and Friday departures to Pythagorion and rest of week departures to the capital Vathy, for €30 return. There is a €10 port tax on top of this. In high season the company puts on extra ferriess on Tuesday, Thursday, and Sunday but these boats leave at 17:00 and go to Pythagorion. On the way back you can catch the 17:00 ferry from Pythagorion every Wednesday and Friday and from Vathy all other days. Blue Cruise company (V-GO yachting and travel) have 08.30 and 17:00 fast ferries to Samos daily. The trip takes 50 minutes. The return trip is €40, including taxes. TravelShop Turkey offers €40 return tickets to Samos, leaving at 8.30am daily. Children under 6 travel free and children between the ages of 7-12 pay €18. • Lykourgos Logothetis Castle – Constructed in the 19th century; two galleries and a Roman church can be visited in the castle yard. • Pythagorean Folklore Museum – Found in the Doryssa Bay Hotel and illustrates the town life on the island since World War II. You can view farming tools, clothes of the era as well as other exhibits. • Piccolo Porto – offers authentic Italian fare such as pizza, baked in a real wood burning stove. Pick from their wide variety of toppings and wine. • Poseidon – offers seafood dishes from the island. This unique eatery is decorated with Byzantine icons. • Apollon – for the Greek food lovers, this quaint restaurant combines seafood with real Greek flavors and entrees. • Chesters – combines Greek cuisine with Western flair to entice everyone to visit and try a meal. Choose from twenty different dishes for your pleasure. • Meltemi – Greek family restaurant that prepares fresh local dishes. • Areas – traditional Tavern was serving local homemade dishes and wine. Try such delicacies as fresh octopus and grilled fish. • Sinadisi-created in 1996 to be a family tavern offering authentic Greek food such as priorities and beri meze. 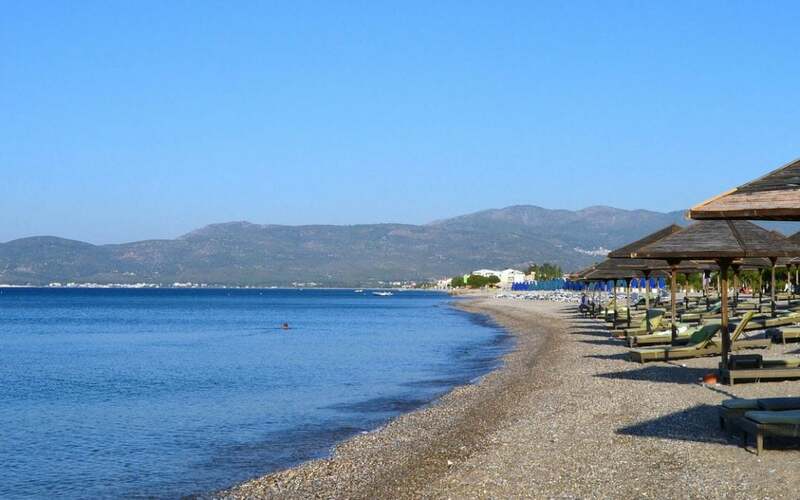 • Kalamies – situated near the Lemonakia Beach with a variety of food and drink for his clients. If you decide to extend your stay on Samos, there are many different types of accommodations, from ancient stone masonry hotels, conventional studios, and self-service apartments to large resort villas. There are also many oceanfront rooms and apartments that will have you only steps away from the beautiful beaches. 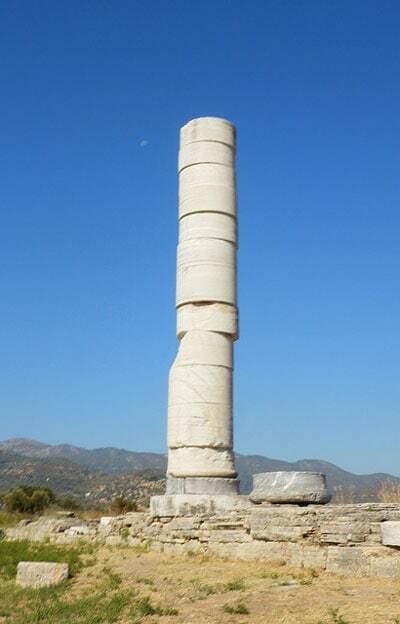 If you are at a loose end in Kusadasi, or you love history and you've already been to Ephesus, then try Samos for a historic island experience in a completely different culture. 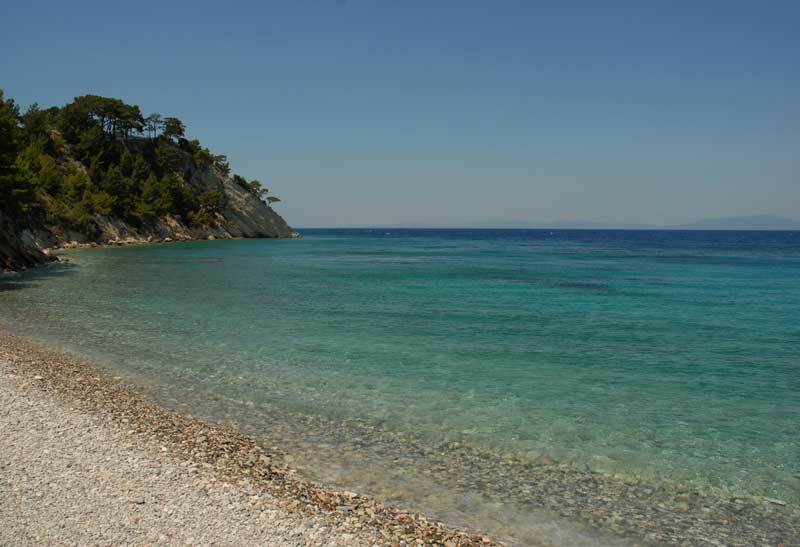 If you love beaches you'll be happy to know that Samos has some of the best beaches in the Mediterranean. Even though the islands of Greece number in the hundreds, and many of them are spectacular, it's hard to find another island to rival that of Samos. Whether you want a quiet day on the sugar white beaches or an educational tour through its rich history, Samos has activities for everyone. Expect to see wildlife such as the monk seal or the colorful flamingos that call Samos home. Temperatures stay in the 20C – 30C degree range year round, except for some 30C and 35C at the heart of the summer. Winter months are rainy but mild while summer temperatures are warm with very little rainfall. Don’t miss seeing this historical island gem during your travels to Kusadasi or the Aegean coast of Turkey. Return times are around 17:00 so make sure you don't miss them. Do visit The Paleontological Museum of Samos and the wine museum. Two well worth your time places to visit and good spots to hide from the sun in mid-summer. And one last thing to remember is not to forget your passport. Enjoying the Aegean cost? Read our guide to Ephesus and our guide on how to get to Kusadasi from the Airport. Looking for somewhere to stay? The Hilton Kusadasi is a lot cheaper than you might think. Photo credit, Samos boats and villa: Lisa H.